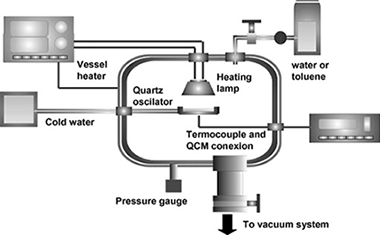 The microstructure of TiO2 thin films prepared by plasma enhanced chemical vapour deposition has been assessed by using water adsorption–desorption isotherms measured by means of a quartz crystal monitor (QCM). Thin films have been deposited by using titanium tetraisopropoxide as a precursor and by changing different experimental parameters of the deposition procedure such as temperature of the substrate, pressure, and gas composition in the plasma. The films were characteristic of different microstructures that, according to their scanning electron micrographs, have been categorized as columnar, homogeneous and crystalline. They also have different refraction indices with values between 1.95 and 2.41. Water and toluene adsorption isotherms have been measured by means of a QCM monitor for the films heated in vacuum to remove the water previously adsorbed in their pores. The analysis of the adsorption-desorption isotherms by means of the so called “t-plots” and the determination of the pore size distribution curves rendered that the three kinds of microstructures presented different kinds of isotherms and water adsorption behaviours. Columnar films consisted of micro- and meso-pores had a very high adsorption hystheresis at low pressures. 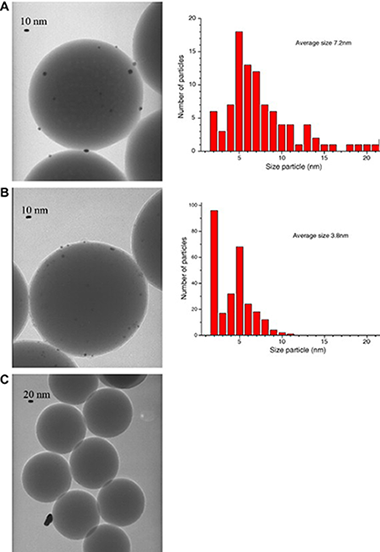 Homogeneous films only had micropores and presented no adsorption hystheresis. Crystalline films consisted of both micro- and meso-pores but had no adsorption hystheresis at low pressures. A zone scheme has been proposed to account for the microstructure of the films depending on the plasma conditions utilized. The implications of the different water adsorption behaviours of the films for the determination of their refraction indices are discussed. WC/amorphous carbon (a-C) thin films were deposited by dual magnetron sputtering from individual WC and graphite targets. The influence of film composition and microstructure on the optical and electrical properties was investigated. As evidenced by x-ray photoelectron spectroscopy and grazing angle x-ray diffraction measurements, the WC/a-C films are composite materials made of hexagonal W2C and/or cubic β-WC1−X nanocrystallites embedded in (a-C) matrix. The optical properties were studied by spectroscopic ellipsometry and the electrical resistivity was measured by the van der Pauw method between 20 and 300 K. Both the optical and the electrical properties of the WC/a-C films are correlated with the chemical composition and microstructure evolution caused by a-C addition. 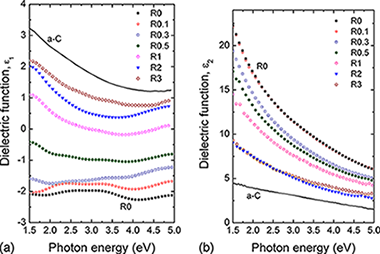 The optical properties of W2C/a-C and β-WC1−x/a-C films with a-C content ≤ 10 at. % are explained by modeling their dielectric functions by a set of Drude–Lorentz oscillators. Further increase in a-C content leads only to the formation of β-WC1−x/a-C nanocomposite structures and their optical properties progressively evolve to those of a-C single phase. The electrical resistivity as a function of the temperature of all the films exhibits a negative temperature coefficient of resistivity. Theoretical fitting using the grain-boundary scattering model shows that the transport properties are mainly limited by the grain size and electron mean free path parameters. Compounds containing rare earths are of increasing technological interest especially because of their unique mechanical, magnetic, electrical, and optical properties. 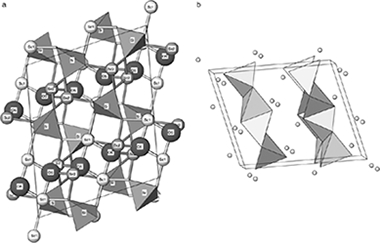 Among them, rare earth oxyorthosilicates are attractive scintillators for γ- and X-ray spectroscopy and detection. However, there are many structural aspects of those compounds that are not clear. In this research, the structure parameters for Sc2Si2O5, X2-polymorph, have been refined from powder X-ray diffraction (XRD) data and the 29Si MAS NMR spectrum is reported for the first time. X2-Sc2SiO5 polymorph was synthesized by the sol–gel method and characterized by XRD and 29Si MAS NMR. The XRD pattern was indexed in a monoclinic unit cell with space group I2/c; the resulting unit cell parameters were a=9.9674(2) Å, b=6.4264(9) Å, c=12.0636(2) Å, and β=103.938(1)°. The 29Si MAS NMR spectrum showed a unique signal at −79.5 ppm, compatible with the unique Si crystallographic site in the unit cell. Finally, the band valence method has been applied to the calculation of a “shift parameter,” which is correlated with the NMR chemical shift. Mixing behaviour of solid crystalline monolayers adsorbed onto graphite from different mixtures of undecanoic and dodecanoic acids at submonolayer coverage has been investigated. X-ray diffraction measurements have been collected from a variety of compositions as a function of temperature. An extensive phase separation is found for all the compositions – the scattering patterns characteristic of the pure material crystalline structures being preserved across the entire composition range. The temperature dependence of the monolayer melting points and their depression is also clearly indicative of separation of the two surface components, in clear contrast to that expected if the two carboxylic acids mixed ideally in the monolayer. This work reports about the preparation of plasma polymerized thin films of perylene with thicknesses 30−150 nm and their characterization by different methods and the analysis of their optical properties. Highly absorbent and fluorescent films have been obtained by this method that combines the sublimation of the perylene molecules and their controlled polymerization by the interaction with remote Ar plasma. The polymeric films are very flat with a root mean square (rms) roughness in the range 0.3−0.4 nm. 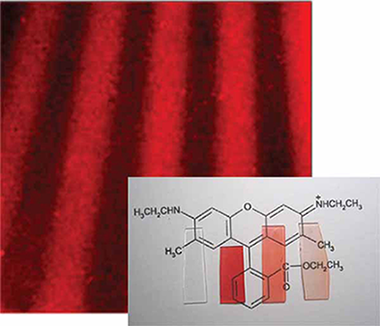 In contrast with the sublimated layers of perylene that present a high scattering of light, the polymerized films depict the well-defined absorption bands in the region 400−450 nm and fluorescence spectra of the perylene molecule at 475 nm. The films are formed by a matrix formed by cross-linked fragments of perylene and intact molecules that confer the observed optical properties to this material. The optical and microstructural characteristics of this type of thin films and the possibility to perform their deposition by using lithographic procedures make them suitable for their integration into photonic components for various applications. A preliminary study of the use of these films as an optical sensor of NO2 is also presented. Herein, we report an experimental analysis of the photogenerated current of very thin and uniform dye-sensitized nanocrytalline titanium oxide (nc-TiO2) electrodes coupled to high-quality one-dimensional photonic crystals. The effect of well-defined optical absorption resonances are detected both in optical spectroscopy and photogenerated current experiments, a clear correspondence between them being established. Our study demonstrates that light trapping within absorbing electrodes is responsible for the absorption enhancement that has previously been reported and unveils the mechanism behind it. We prove that this effect improves significantly the power conversion efficiency of very thin electrodes. Mechanically stable and insoluble fluorescent thin films have been deposited by sublimating Rhodamine 6G laser dye in the downstream region of a low-power microwave ECR plasma using an experimental set-up designed to control the interaction of the dye molecule with the glow discharge. The use of reactive organosilane plasmas allows to control the dye distribution inside the matrix, leading to solid nanocomposite thin films containing non-aggregated dye molecules. The suppression of aggregates is a key issue to avoid fluorescence quenching. 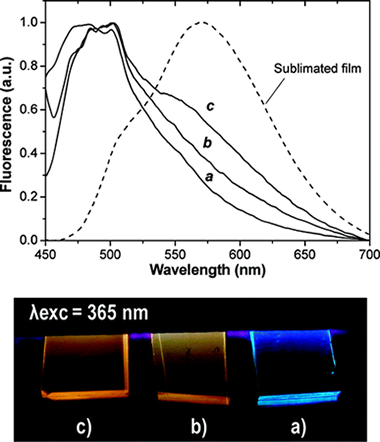 The obtained nanocomposite films are interesting because of their strong absorption and high fluorescence emission. In addition, they can be patterned using in situ plasma treatments in order to produce optically functional devices. The performance of protective thin films is clearly influenced by their microstructure. The objective of this work is to study the influence of the structure of TiC/a-C nanocomposite coatings with a-C contents ranging from ~ 0% to 100% on their mechanical and tribological properties measured by ultramicroindentation and pin-on-disks tests at ambient air, respectively. The microstructure evolves from a polycrystalline columnar structure consisting of TiC crystals to an amorphous and dense TiC/a-C nanocomposite structure when the amount of a-C is increased. The former samples show high hardness, moderate friction and high wear rates, while the latter ones show a decrease in hardness but an improvement in tribological performance. No apparent direct correlation is found between hardness and wear rate, which is controlled by the friction coefficient. These results are compared to the literature and explained according to the different film microstructures and chemical bonding nature. The film stress has also been measured at the macro and micro levels by the curvature and Williamson–Hall methods respectively. Other mechanical properties of the coating such as resilience and toughness were evaluated by estimating the H3/E⁎2 and H/E⁎ ratios and the percentage of elastic work (We). None of these parameters showed a tendency that could explain the observed tribological results, indicating that for self-lubricant nanocomposite systems this correlation is not so simple and that the assembly of different factors must be taken into account. A systematic study of the different hydrolyzed species derived from the hydrated Po(IV) in water, [Po(H2O)n(OH)m](4−m) for 1 m 4, and 4 m + n 9, has been carried out by means of quantum mechanical computations. The effects of outer solvation shells have been included using a polarizable continuum dielectric model. For a fixed number of hydroxyl groups, the preferred hydration number for the Po(IV) can be determined in terms of Gibbs energy. It is shown that the hydration number (n) systematically decreases with the increase in the number of hydroxyl groups (m) in such a way the total coordination number (n + m) becomes smaller, being 9 in the aquocomplex and 4 in the neutral hydroxo-complex. Free energies for the hydrolysis processes involving Po(IV) complexes and a different number of hydroxyl groups have been computed, revealing the strong tendency toward hydrolysis exhibited by these complexes. The predominant species of Po(IV) in aqueous solutions are ruled by a dynamical equilibrium involving aggregates containing in the first coordination shell OH− groups and water molecules. Although there is not experimental information to check the theoretical predictions, theoretical computations in solution seem to suggest that the most likely clusters are [Po(H2O)5(OH)2]2+ and [Po(H2O)4(OH)2]2+. The geometry of the different clusters is ruled by the trend of hydroxyl groups to be mutually orthogonal and to promote a strong perturbation of the water molecule in trans-position by lengthening the Po−H2O distances and tilting the corresponding bond angle. A general thermodynamic cycle is defined to compute the Gibbs free energy associated to the formation of the different hydrolyzed forms in solution. From it, the estimates of pKa values associated to the different protolytic equilibria are provided and discussed. 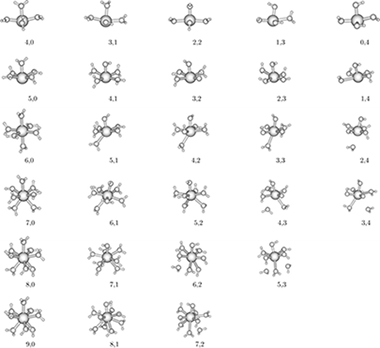 Comparison of the relative values of pKa along a hydrolysis series with the experimental values for other tetravalent cations supports its consistency. Silica monospheres with a diameter of 330 nm modified with aminosilane compounds of three different basicities have been prepared. Surface coverage of the silica with an organic compound leads to an increase of the point of zero charge (PZC) of the silica surface from 2.1 to 5.1, 6.5 and 7.2 values, depending on the amine used. From these silicas, gold-containing catalysts have been prepared by a deposition–precipitation method at the same pH as the PZC of the support. The best results have been obtained using 3-(Diethoxymethylsilyl) propylamine as a modifying agent, which has allowed obtaining a good dispersion of the gold particles with an average size of 3.8 nm.